It was 4pm already and no signs from the garage. I started to call to have some information but no one picked up. Around 5pm, I finally reached the reception: “Oh, sorry ma’am. We haven’t called you because your car is not ready. Is very busy today”, she said. “But, will it be ready today?“, I asked. “Yes! We will call you in one hour“. What do you think? The day ended and no call. FINALLY, someone picked up. (It was almost noon) “Ma’am, your car is ready. You can pick it up“, she said. Euuuh, just that? I thought. “Sorry, any further explanation? Was there a problem with the car? Why didn’t you call me! ?“, I asked (curious about her answer) “There was no problem with the car. It was very busy here and we could not find your phone number” WHAT!? (I thought) “Ok, thank you“. I went to the reception to receive the keys. The woman smiled and asked: “We would like to know your opinion about our service…” (routine, not that she knew about my story). When she finished her explanation, I smiled and said: “Honestly, I’m not happy with your service“. “Oh, why ma’am?“… And I told her the whole story. She took notes in the “Customer satisfaction” paper and at the end she asked: “And how many stars would you give us? There is a maximum of 5“, showing me the paper. “Two“, I said. 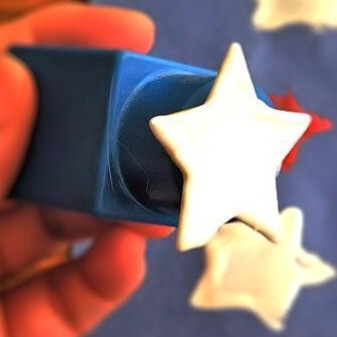 She colored two stars and smiled. The day after, I received a call from an unknown number. They left a message. What do you think? It was the garage: “Ma’am, your auto is ready. You can pick it up any time during the day“. WTF!? When I think about the situation, the problem was not the service on the car itself, or even the fact that the car was not ready when they promised, but rather how they handled the communication. It’s very easy to sabotage our own work just by how we communicate to our customers. Don’t you think? Don’t let your 5-star job becomes 1 by a mis or non-communication.